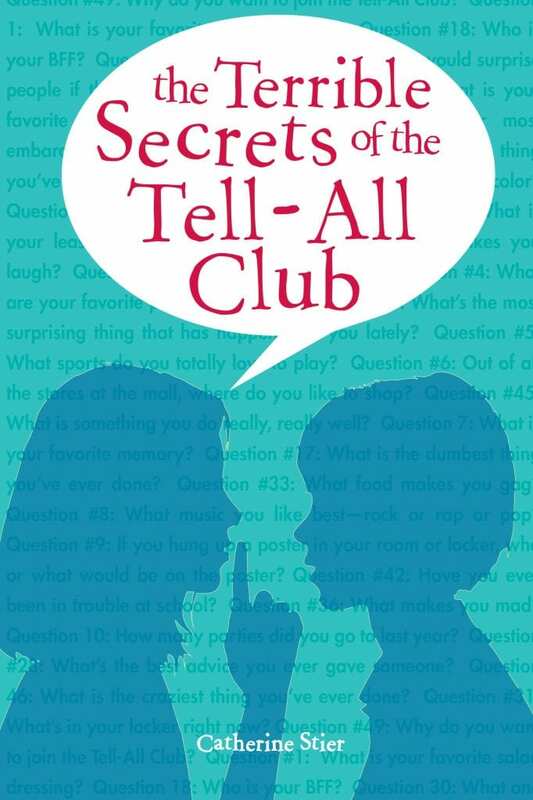 THE TERRIBLE SECRETS OF THE TELL-ALL CLUB is a fresh, funny and contemporary novel for ‘tweens about friendship and being who you want to be. No one at school had ever thought up a club like this. All you had to do to be in it was answer some questions and share them with the rest of the club. Questions like: What is your favorite salad dressing? Who is your BFF? What was your most embarrassing moment? 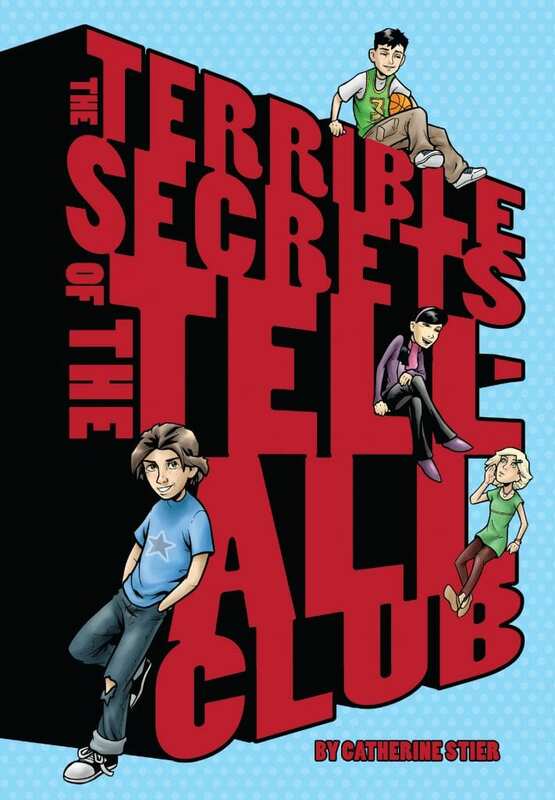 There were plenty of reasons to be in the Tell-All Club. Kiley, T.J., Josh, and Anne each had a different motivation: One of them wanted to fit in, one wanted revenge, one had something to hide, and one of them was dying to find out another’s secret. Told in four different viewpoints, this funny, touching novel explores friendship, social pressures, bullying, and other anxieties of ‘tween girls and boys alike. For more journal reviews, please visit the Albert Whitman & Company website at www.albertwhitman.com. Part of this book is set at a sleep-away, “Outdoor Education” camp program that takes place during the school year. For most of the fifth graders in the book, the camp trip is the best part of the whole year! I attended a camp just like it – Mill Lake Camp in Michigan – in the sixth grade. Some of my memories of this camp are part of this story. Just like the fifth graders in this book, we all stayed in bunks in cabins. And we all had to learn to square dance for the big dance that took place one night! 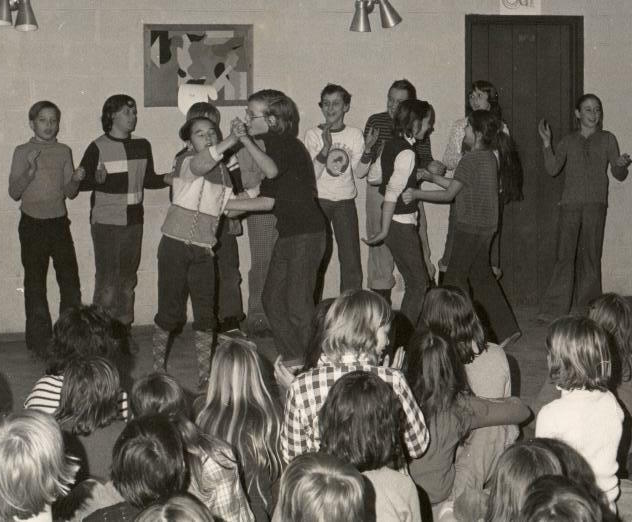 Our superintendent was the square dance “caller” who told us when to “Do-si-do.” I remember that we could either choose our partner or (yikes!) be paired up with someone. A skit my group performed at my sixth grade camp. I am the girl in the sweater with the braid design, dancing with my eyes closed.